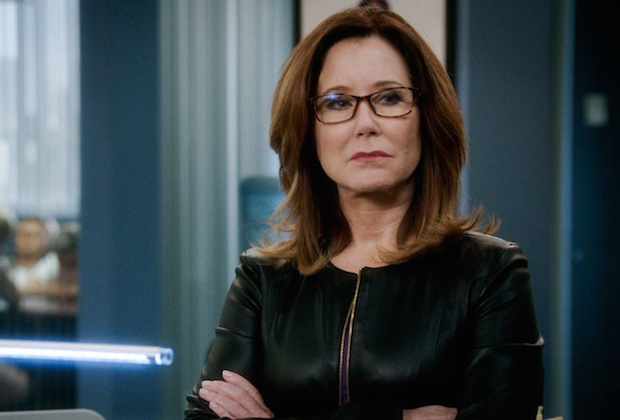 Were Major Crimes season 6 ratings hurt by Mary McDonnell shocker? We know that Major Crimes season 6 ratings really don’t matter when you think about the show’s future — it’s already canceled, and to go along with that it doesn’t seem there are any other suitors for a season 7. 1. This death, horrible as it was, inspired viewers enough to watch the show live and see the aftermath of it play out. Sometimes shows do get a small jolt from significant twists, especially if it’s one as big as losing a main character. 2. This death simply made everyone so frustrated that they decided to stop watching, thinking that Major Crimes ended when Sharon Raydor was no longer a part of the team. We’ve seen this before, so it was definitely hard to know in advance which way the needle would go. As it turns out, more of the former happened since the Major Crimes season 6 ratings rose to new heights with Tuesday night’s “By Any Means: Part 1.” In total this episode generated a 0.3 rating in the 18-49 demographic alongside 2.74 million viewers. This is the best viewer total for a non-finale episode of Major Crimes since September 2016. The second episode did fall down to around 2.44 million viewers, but that is still enough for it to top all of the other episodes this season. Whether or not this viewership holds out until the series finale remains to be seen, but it does appear that there was curiosity in seeing Major Crimes say goodbye to Sharon and move forward into the final stand against Philip Stroh. It certainly feels as though we’re building up to an epic conclusion! What do you think about the latest Major Crimes season 6 ratings? Are you surprised at all the ratings went up after what happened to Sharon? Let us know your thoughts below and click here to read our full review for Tuesday night’s episodes! I’m surprised by the ratings. There are a lot of people angry about the gratuitous, unnecessary, senseless killing of the heart of the show — disgusted people who did not want to see the show anymore. I’m one of those people. I don’t spend time “with” people who slap me in the face and I have no interest in watching people grieve. There’s already too much to be sad about in the real world. I love the show and will watch every episode that is shown! Still can’t imagine why another network has not picked up this show! When The Closer was ending I felt that the characters were good enough to continue the show without Brenda and I was right. I still feel the same, this is an awesome program with wonderful characters and it should continue. CBS, Amazon, Warner Bros. , anybody with some smarts listening?